The best quality ethical and sustainable investment funds are more profitable than both the mainstream sector averages and those funds that are labelled ethical or sustainable, but do not live up to their principled promises, according to new analysis. 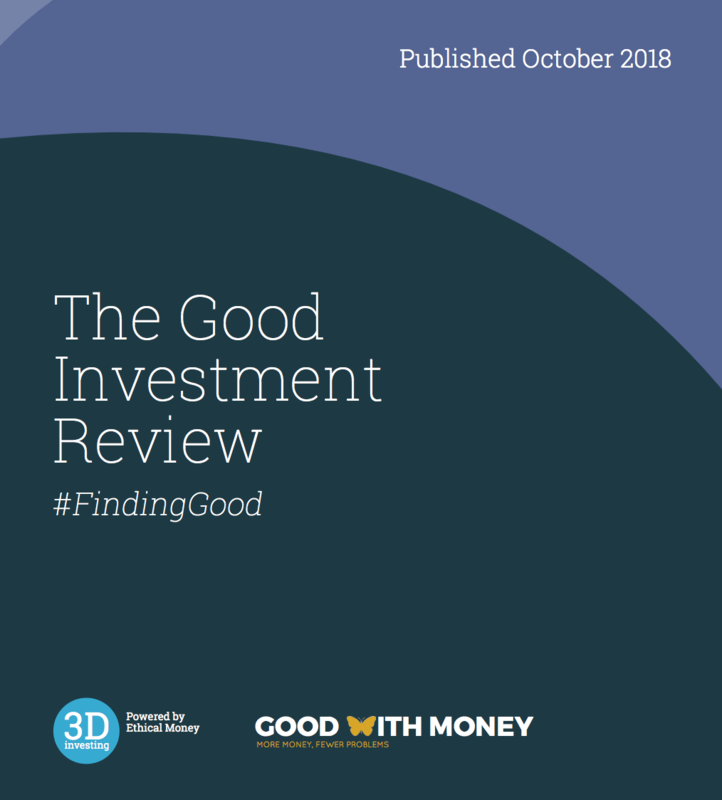 The latest Good Investment Review from 3D Investing and Good With Money, available to download here from today, shows in the UK All Companies sector, the average ethical and/ or sustainable fund rated three or more stars out of five by 3D Investing has returned 61.51 per cent over the five years from 2013 to 2018, 14.41 per cent more than a mainstream fund with no ethical or sustainable remit and 11.12 per cent more than a standard ethical fund in this sector. In the Global Equity Growth sector, the average outperformance of a fund rated three or more stars out of five by 3D Investing is 4.38 per cent over the five-year period, at 83.34 per cent, compared with 78.96 per cent for the average Global Equity Growth fund without an ethical or sustainable remit and 77.31 per cent for the average ethical global equity growth fund. In the Stirling Corporate Bond sector, the average five-year return on a standard, non-ethical fund is 25.03 per cent, 4.69 per cent lower than the average five-year return on a three-star or more rated ethical or sustainable fund and 2.89 per cent for the average ethical Stirling corporate bond fund. 3D Investing rates funds that are described as ethical or sustainable according to how well they live up to their claims and according to financial performance. Of the 226 funds available to UK investors that are described as ethical or sustainable, around half are rated 2.5 stars out of five or less and around half have more. Only the top 25 per cent have four or five stars. The ratings are designed to be demanding, so a three-star rating is far from average and in fact means the fund is likely to be amongst the best in its sector. A five-star rating is reserved for the very best funds and is an aspirational standard. There were 11 new funds launched in the six months from April to October 2018 – a five per cent increase – and the value of assets under management in the 3D universe of funds is £90 billion, down from £105 billion in April 2018 as a result of criteria changes that now exclude North American funds. 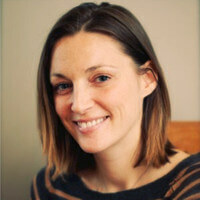 Rebecca O’Connor, co-founder and director of Good With Money, said: “Amid concerns of greenwash in the sustainable investing industry, it is important for investors to understand the vast range of approaches within the broad “ethical” category and that not only do these variances affect the level of positive impact a fund has on the environment or society, they can also affect returns. The Good Investment Review by 3D Investing is published every six months on the Good With Money website. The latest issue focuses on the role of infrastructure in sustainability. New funds launched in the last six months include the Montanaro Better World fund, awarded five stars by 3D Investing, the Rathbones Global Sustainability Fund and the RobecoSAM Global Sustainable Impact Fund.